It’s the last school week before Halloween! That means 5 more Halloween Lunches. 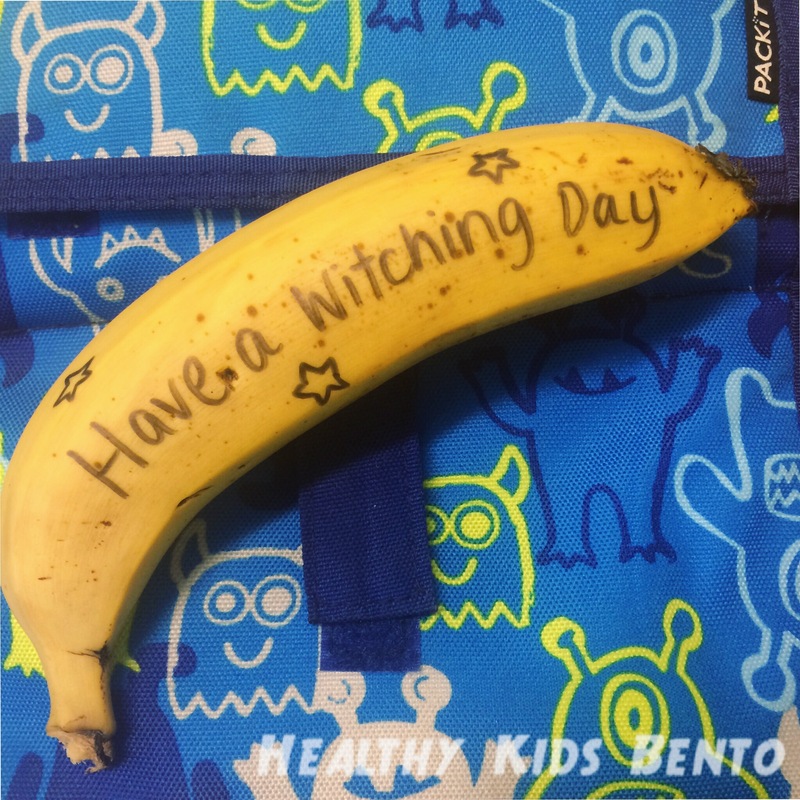 I’ve started the week with a witch theme. Today’s lunch is packed in the Boon Cargo. I love how the sandwich is central and everything else surrounds. 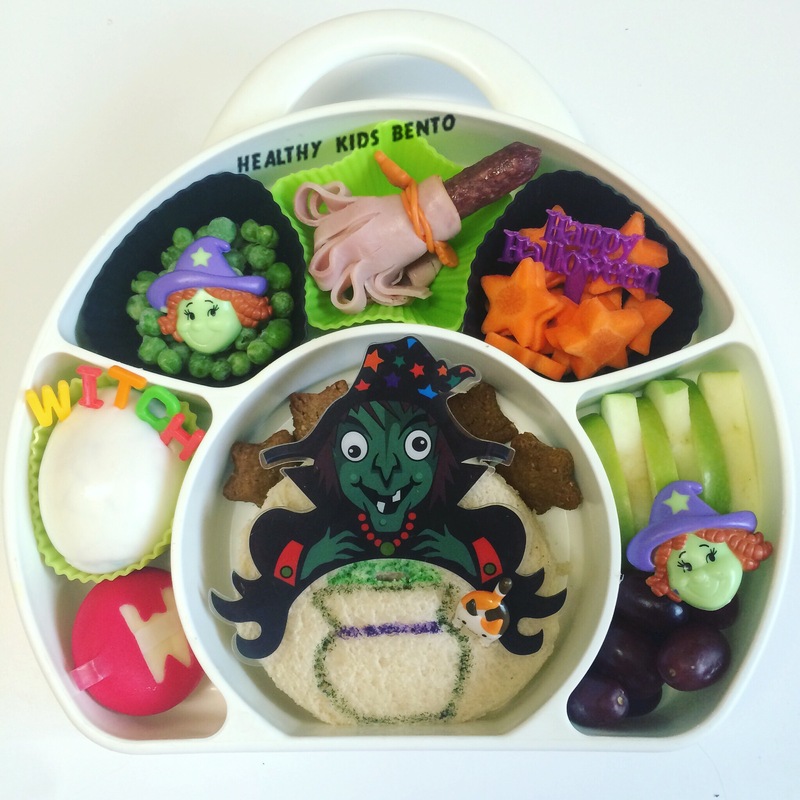 At the sides he has a boiled egg with alpha letters, babybel cheese with a “W” for Witch, apple slices and grapes. 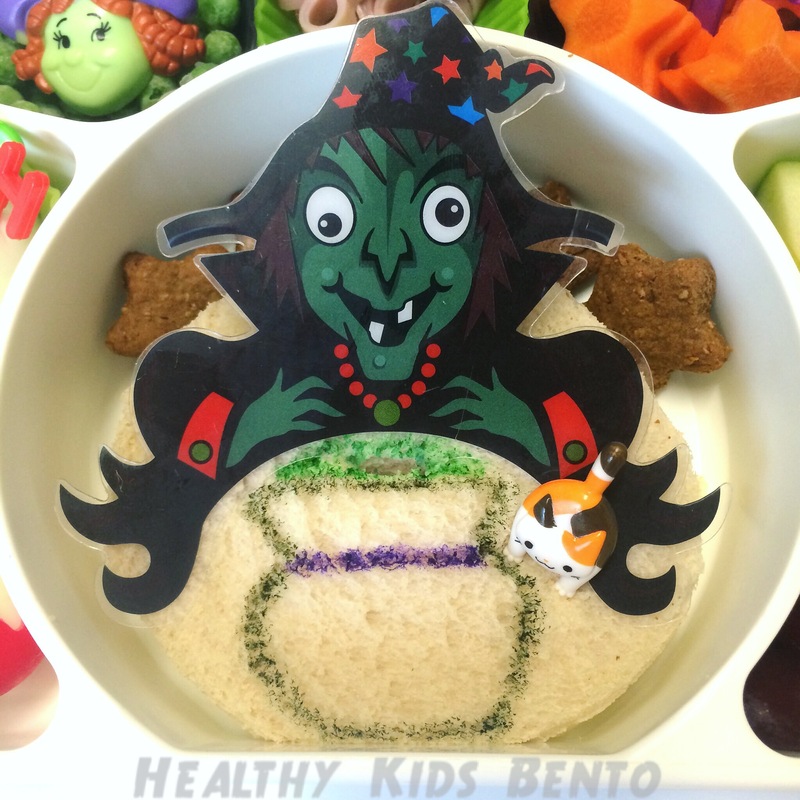 His sandwich has a plastic cupcake topper and cat pick with foodoodler cauldron drawn on. Behind the sandwich are star biscuits I made yesterday. 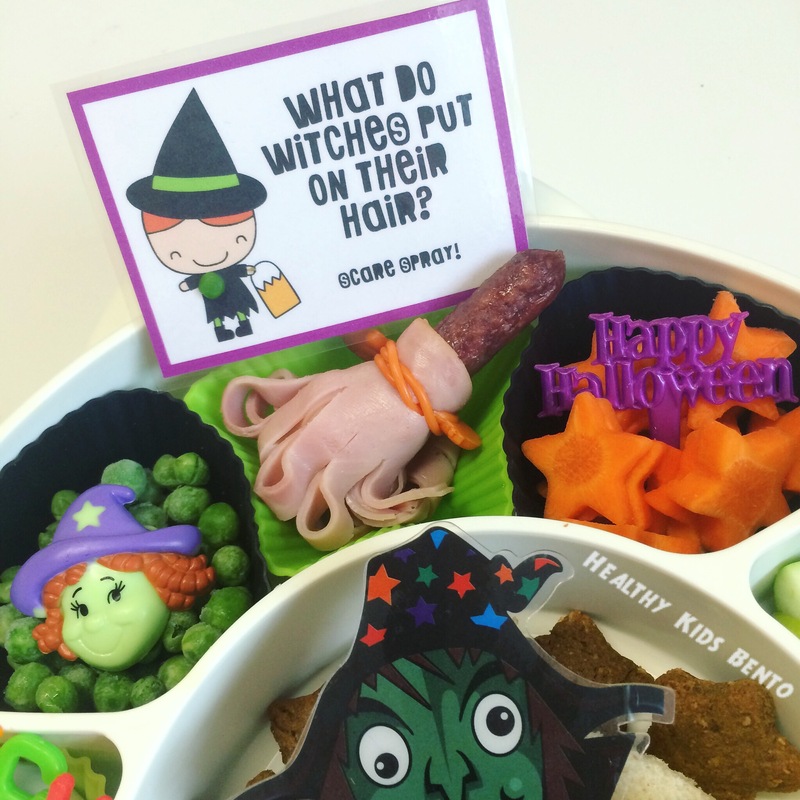 Up the top of the lunchbox he has peas, witches broom made from a twiggy stick and ham with a wrap band to secure it, carrot stars and another lunchbox note from these Free Halloween Joke Printables at artsyfartsymama. Finished off with a banana for fruit break and packed in his freezable lunch bag.